Colonial Resistance: From Rebellious Belligerence to Political Consciousness. 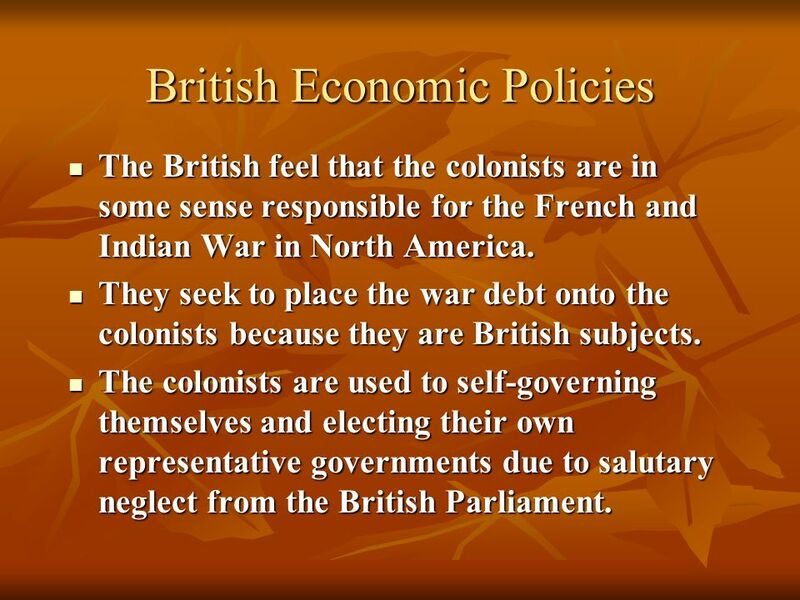 3 British Economic Policies The British feel that the colonists are in some sense responsible for the French and Indian War in North America. The British feel that the colonists are in some sense responsible for the French and Indian War in North America. They seek to place the war debt onto the colonists because they are British subjects. They seek to place the war debt onto the colonists because they are British subjects. 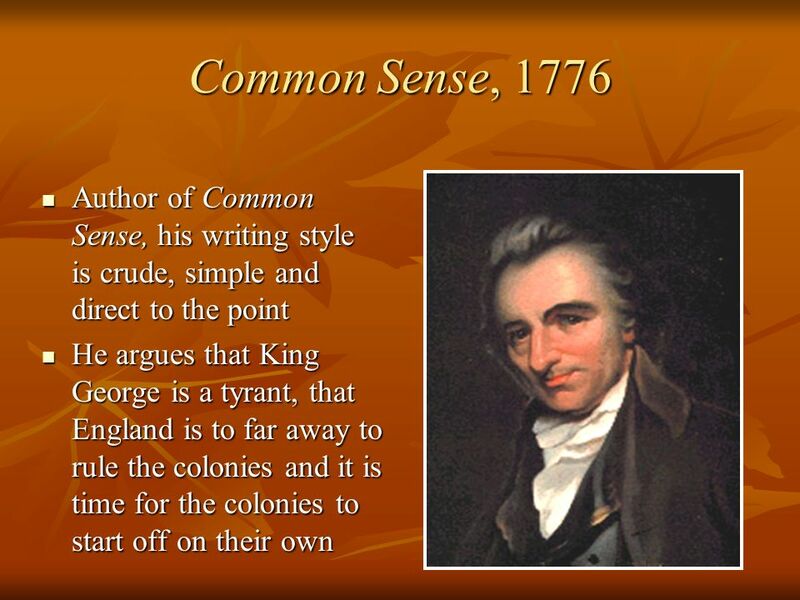 The colonists are used to self-governing themselves and electing their own representative governments due to salutary neglect from the British Parliament. The colonists are used to self-governing themselves and electing their own representative governments due to salutary neglect from the British Parliament. 4 British Economic Policies In actuality the colonist have grown quite wealthy because of the amenities being a British subject provides them. 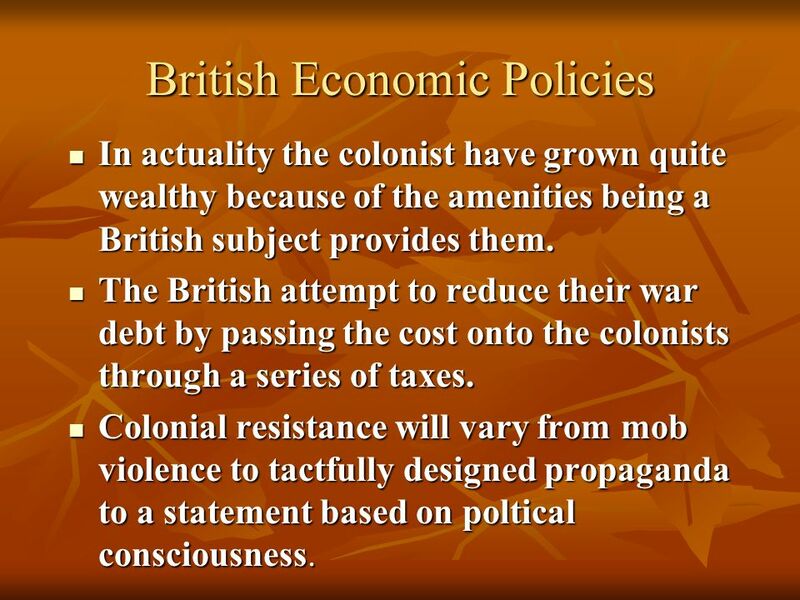 In actuality the colonist have grown quite wealthy because of the amenities being a British subject provides them. The British attempt to reduce their war debt by passing the cost onto the colonists through a series of taxes. The British attempt to reduce their war debt by passing the cost onto the colonists through a series of taxes. Colonial resistance will vary from mob violence to tactfully designed propaganda to a statement based on poltical consciousness. Colonial resistance will vary from mob violence to tactfully designed propaganda to a statement based on poltical consciousness. 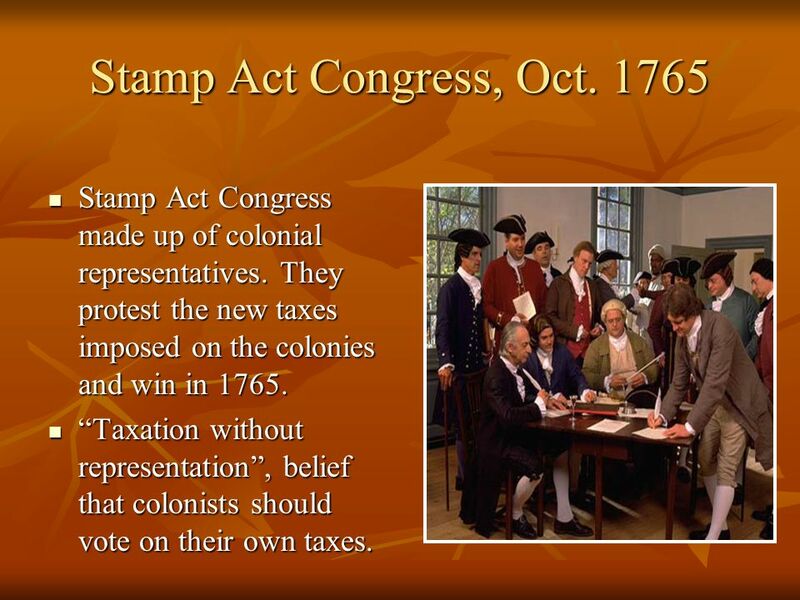 5 Stamp Act Congress, Oct. 1765 Stamp Act Congress made up of colonial representatives. 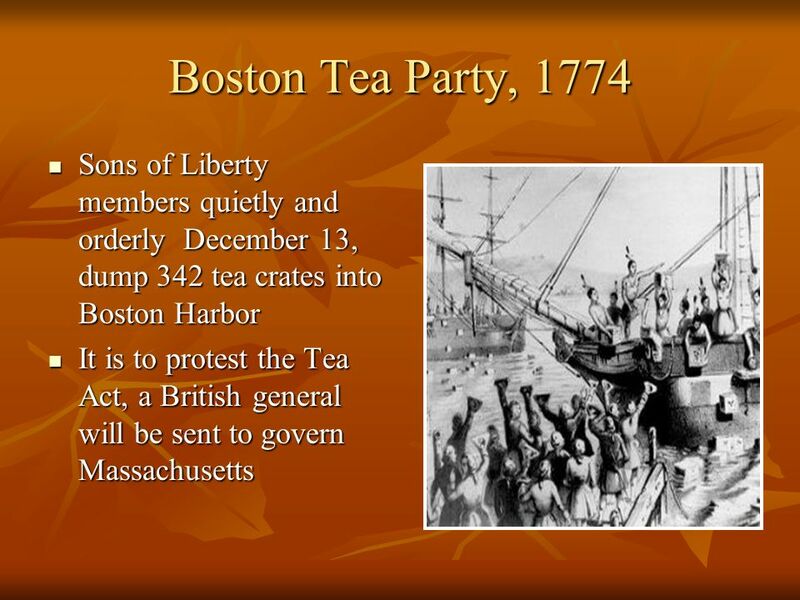 They protest the new taxes imposed on the colonies and win in 1765. 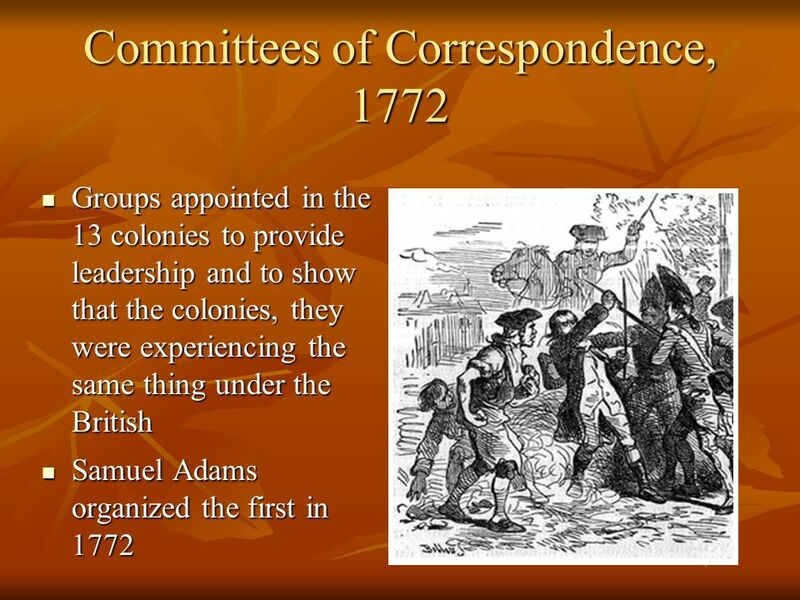 Stamp Act Congress made up of colonial representatives. 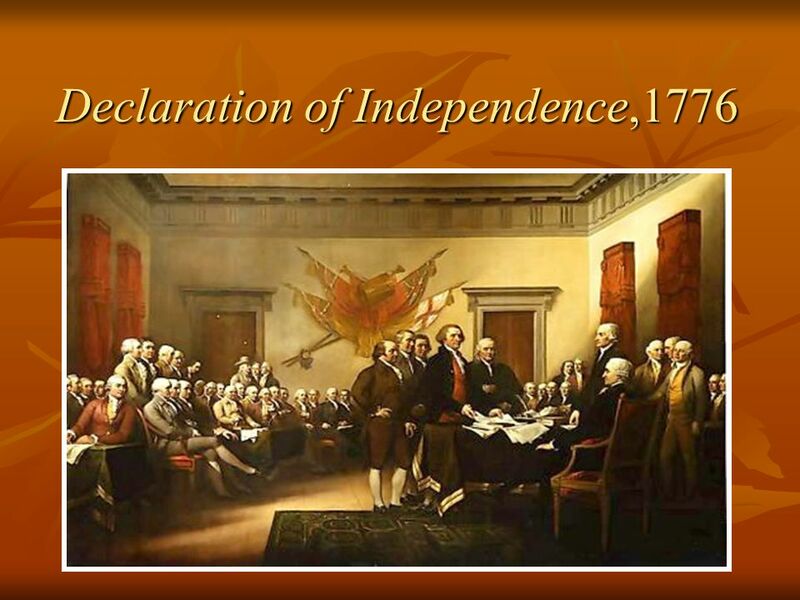 They protest the new taxes imposed on the colonies and win in 1765. 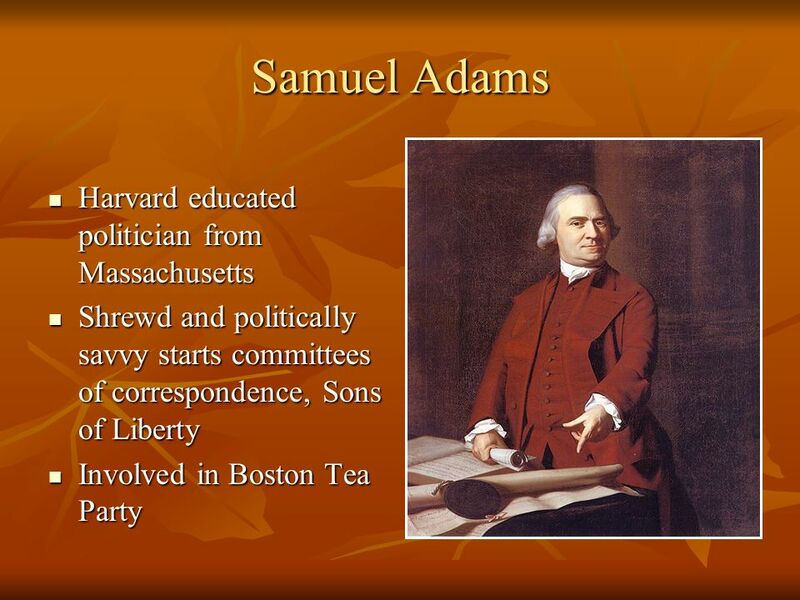 Taxation without representation, belief that colonists should vote on their own taxes. 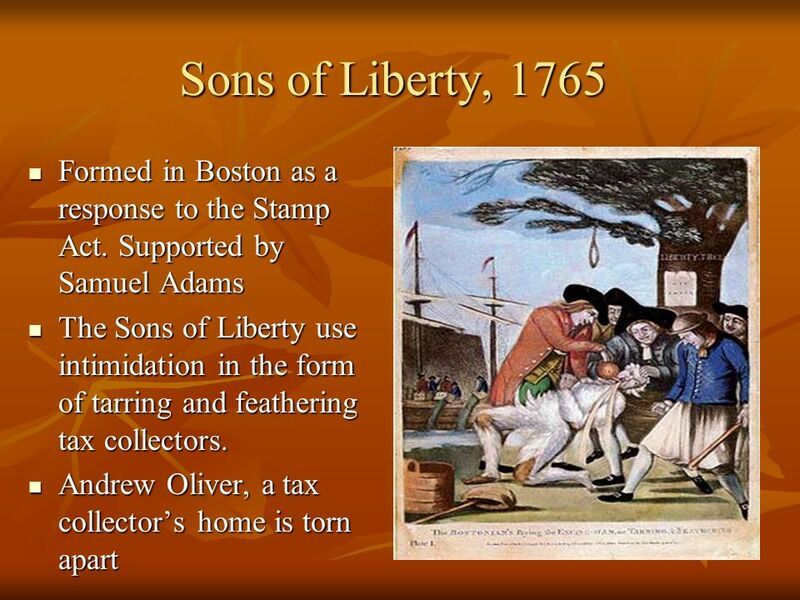 Taxation without representation, belief that colonists should vote on their own taxes. 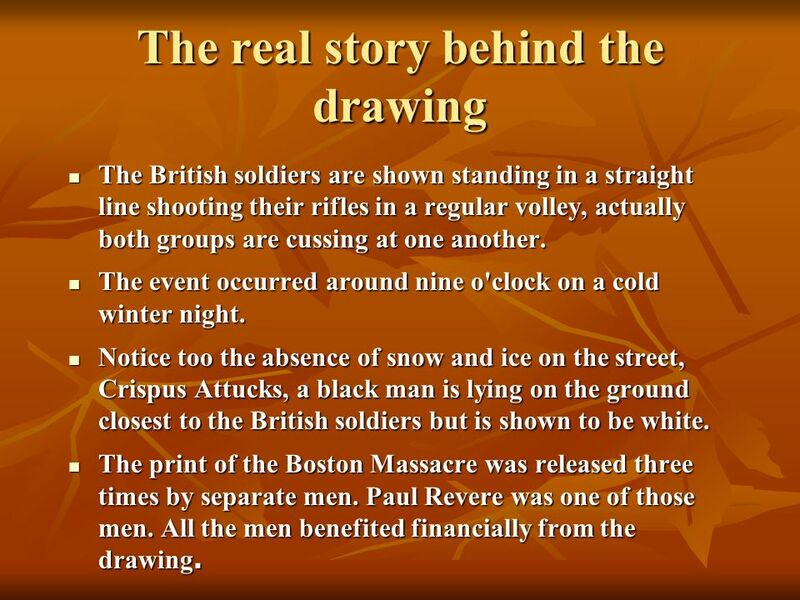 10 The real story behind the drawing The British soldiers are shown standing in a straight line shooting their rifles in a regular volley, actually both groups are cussing at one another. The British soldiers are shown standing in a straight line shooting their rifles in a regular volley, actually both groups are cussing at one another. The event occurred around nine o'clock on a cold winter night. The event occurred around nine o'clock on a cold winter night. Notice too the absence of snow and ice on the street, Crispus Attucks, a black man is lying on the ground closest to the British soldiers but is shown to be white. Notice too the absence of snow and ice on the street, Crispus Attucks, a black man is lying on the ground closest to the British soldiers but is shown to be white. 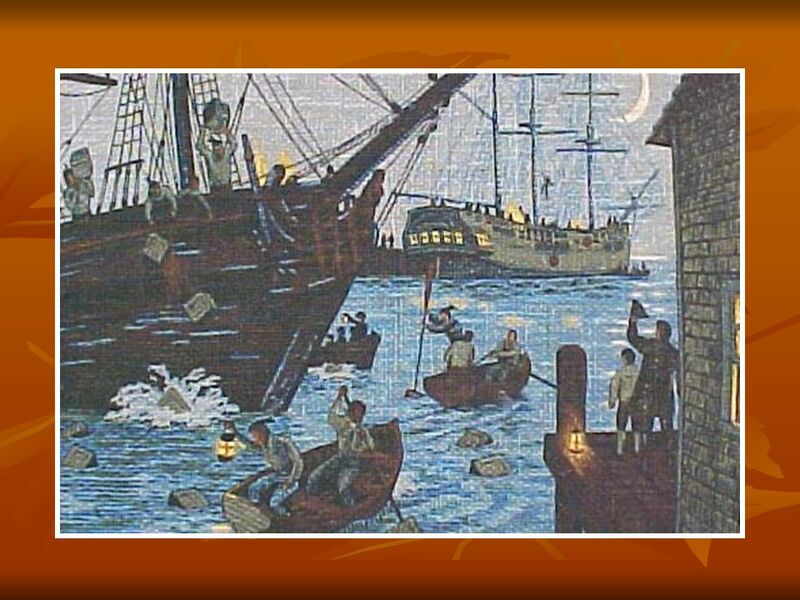 The print of the Boston Massacre was released three times by separate men. Paul Revere was one of those men. All the men benefited financially from the drawing. 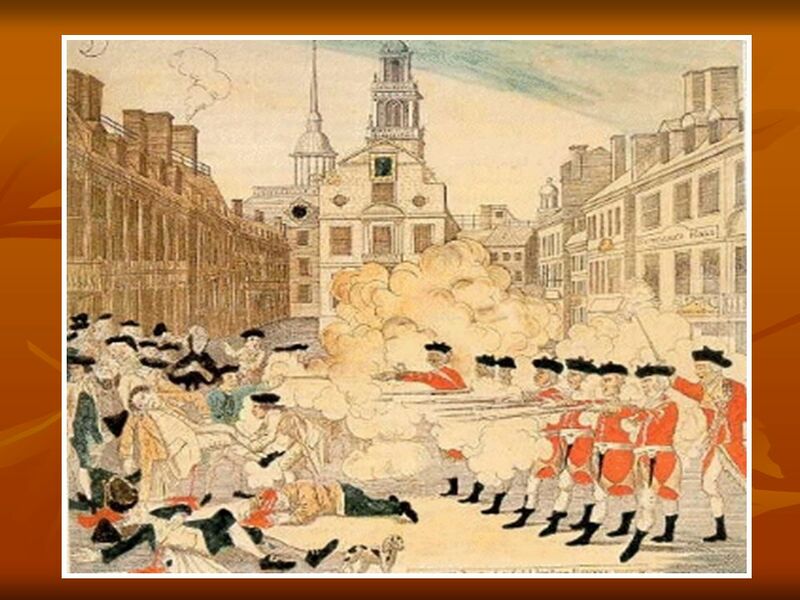 The print of the Boston Massacre was released three times by separate men. Paul Revere was one of those men. All the men benefited financially from the drawing. 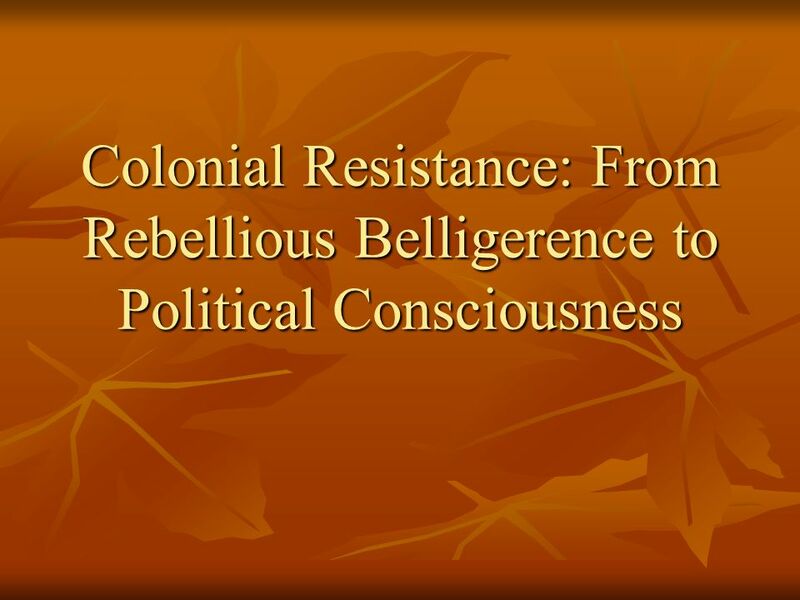 Download ppt "Colonial Resistance: From Rebellious Belligerence to Political Consciousness." US History GPS Review Unit Two American Revolution by Glenn Lewis, 2010 Part One. The Class will divide into two teams. Individuals will be paired against each other. The individual from the team that last got the question right will. American Soldiers English Soldiers. 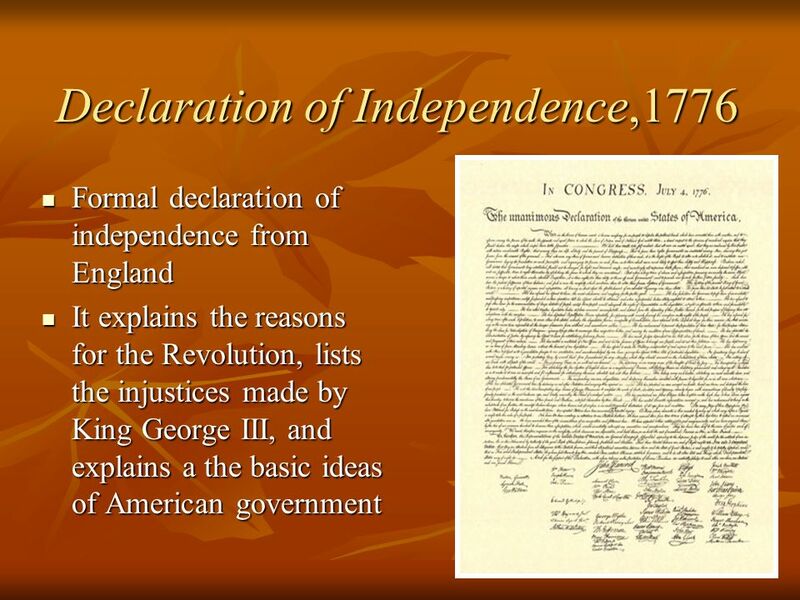 The Causes of the American revolution British Government Versus British Colonists. The American Revolution. The Revolution = more than the War of Independence –A revolution in thought… –Colonists begin to see themselves as distinct from. 3.5 Quiz Review: Jeopardy Colonial Conflict (The Road to the Revolution) Mrs. Cady US History Grade 7. 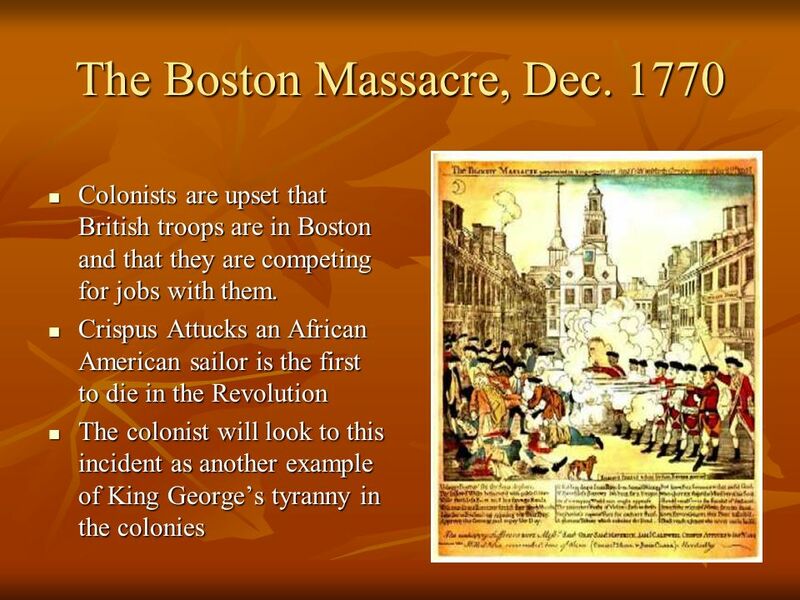 American Revolution Causes US Colonists v. Great Britain. 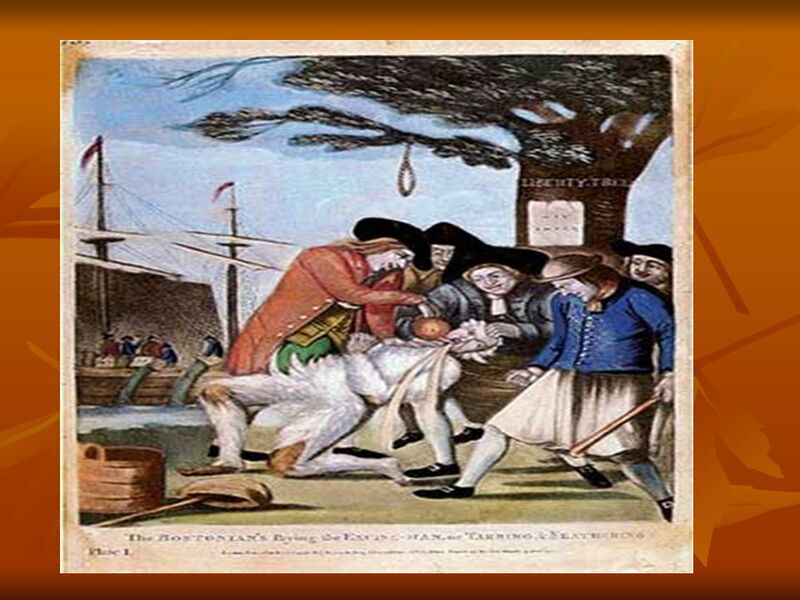 Revolutionary War 4-3.1: Explain the major political and economic factors leading to the American Revolution, including the French and Indian War, the. FREEDOM. THE PROCLAMATION 1763 Following the French & Indian War, English settlers expanded west into Indian Territory The British passed the Proclamation. Events Leading up to the Revolution Colonists work. I have… The Stamp Act Who has… Who has the economic system that required colonists to sell their raw materials to Britain and buy them back as finished. Notes on the American Revolution. I. Forming a New Identity After 150 years the British colonies in North America had each established their own government.